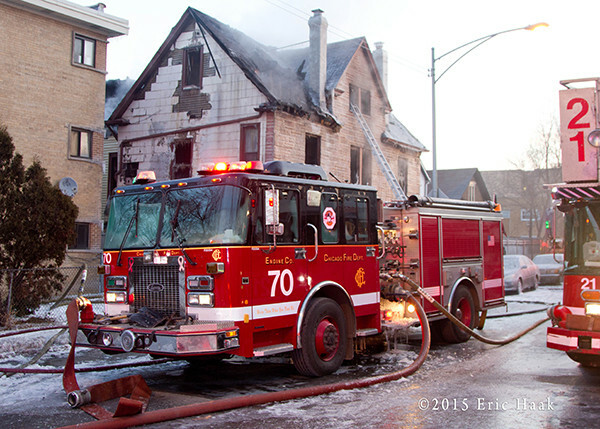 The Chicago Fire Department responded to this fire in the 1900 Block of West Devon at 0330 on Sunday morning (2/15/15). 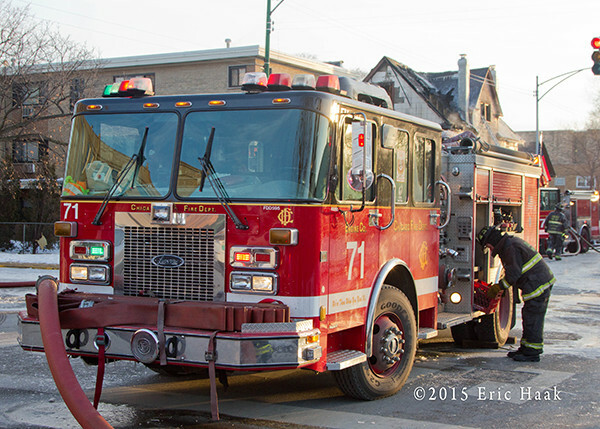 It was eventually elevated to a still and box alarm and companies went defensive. 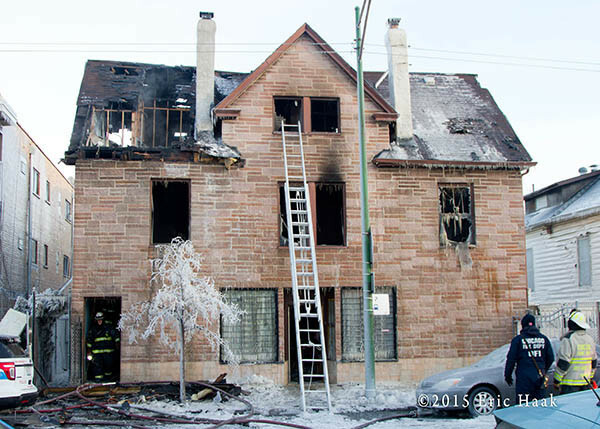 What you can’t see in the images is that the building was a t-shape and had a fairly large extension off the back of the building. Police did rescue one resident who was transported to a local hospital. Temperatures were around zero degrees causing everything in the vicinity to ice over. 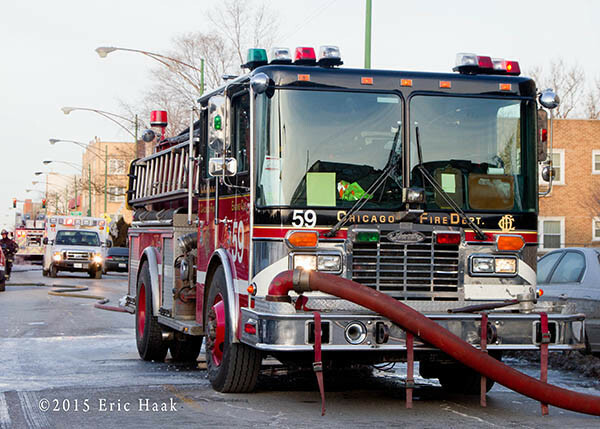 I took the opportunity to take some images of a few engine companies I don’t often get to shoot. 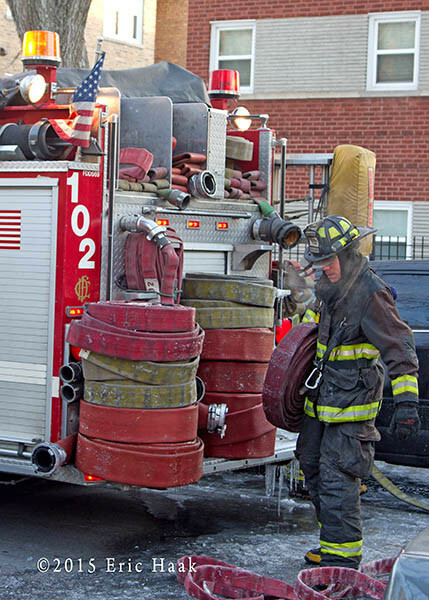 I was a firefighter that we on those scene . Do you have any other photos from this incident? My brother was killed in that fire. 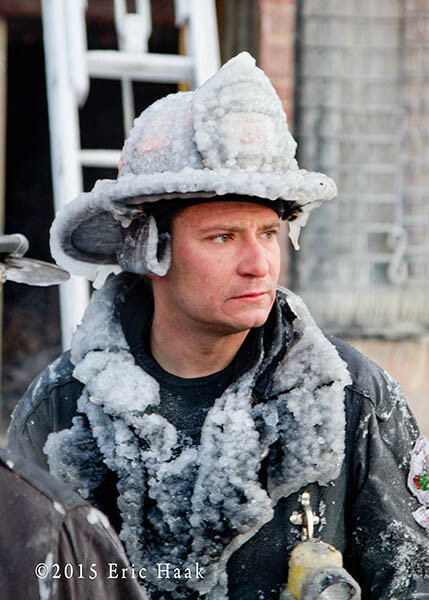 I do want to thank all the firefighters and other first responders who were there. I greatly appreciate all of you who tried to fight it and save him.